Rhizobia are group of organism, known globally for their nitrogen-fixing ability. In addition to nitrogen fixation, they significantly contribute to plant growth promotion and disease control. Rhizobial aptness for plant growth promotion and antagonism against a wide range of pathogens is due to its ability to produce a wide range of secondary metabolites such as HCN, siderophore, antibiotics, rhizobitoxin, lytic enzymes, IAA, phosphate solubilization and induced systemic resistance. Rhizobial inoculants, ascribed with multiple roles of nitrogen fixation, growth promotion and disease suppression, have strengthened crop productivity. 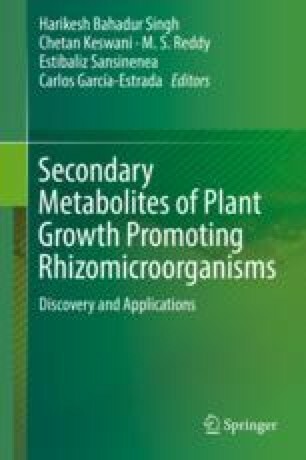 This compilation urges the need to recognize and exploit the potential multifaceted secondary metabolites of rhizobia for biological control and growth promotion.